The True Cost came out of nowhere and totally changed the way I think about spending money on clothes. This documentary isn’t about fashion though – it’s about sweat shops, fast fashion, clothing as a consumable product, and what ultimately happens to the clothes we get rid of. And trust me, it’s shocking. This is one of the most inspirational documentaries I’ve seen and will undoubtedly change your perspective in some way. Of all the documentaries I’ve watched, none have been as impactful as Forks over Knives. There are a lot of great ones that will inspire you to start a healthier lifestyle (a few are on this list), but this one is the best. It is packed with so many facts you will find it hard to argue with. It is also the only one that really examines the impact that dairy has on our bodies and lives. If you have a taste for true crime documentaries, then The Staircase definitely needs to be the next documentary you watch. The Staircase follows the high profile trial of Michael Peterson, charged with murdering his wife in the staircase of their home. By providing not only an indepth look at the full trial, but also 2 follow-up episodes and an additional 3 final Netflix-produced episodes, The Staircase follows the Peterson family over an astonishing 15 year period. This documentary is rare mix of a classic, a new release, and an absolute must-watch! Blackfish is very sad and depressing, but without a doubt a must-see documentary. It takes a look at the treatment of killer whales kept in captivity. After you watch this, you’ll never go to an aquarium ever again…but that’s probably a good thing. This one you definitely have to see. The second I started watching Becoming Warren Buffet, I knew I had found the next incredible documentary. It chronicles the life of Warren Buffet, but does it in a way that makes you feel like you can be just as amazing as he is. It is seriously inspirational. The whole time I was watching it, I found myself jotting down notes and ideas of things I wanted to do! This is a must-see for everyone. Wild Wild Country is one of Netflix’s newest docuseries creations and it will keep you captivated from start to finish. 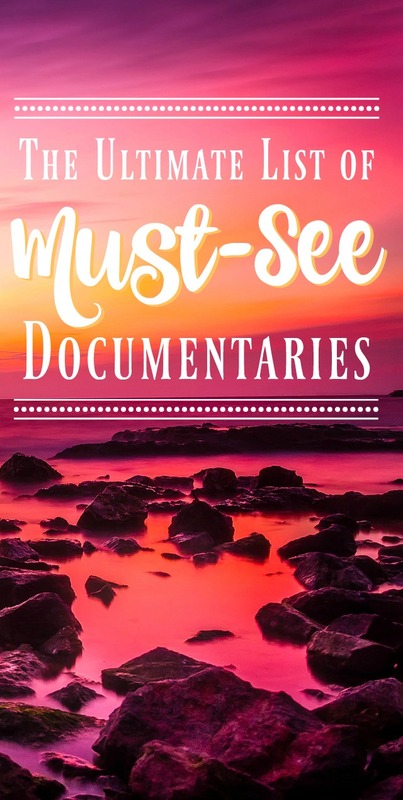 The documentary series tells the story of the Rajneeshpuram cult, who settled and created their own Utopian community in the wilderness of Oregon. It isn’t long, however, before tensions rise with neighbors and instead of smoothing things over, an epic war is waged. A town-take over, bombing, and mass poisoning are only a few of the events that unfold during this outlandish period. In addition to the unbelievable story-line, Netflix manages to find dedicated cult members to help narrate this tale, which gives it a unique perspective that you often don’t find in these kind of films. 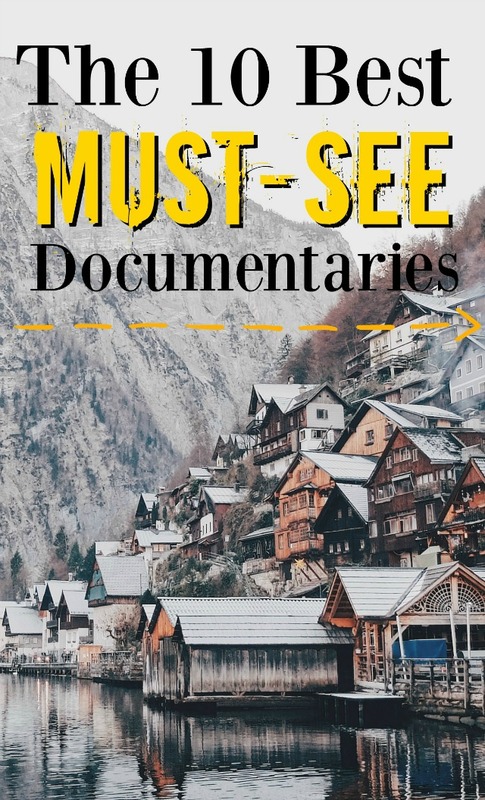 If you have a sweet spot for cult documentaries, you will love this one! Living small is becoming more and more trendy these days and Tiny shows you exactly why. When done right, it’s a happier, calmer, and more fulfilling lifestyle. What you probably won’t believe is how small “tiny” homes actually are – less than 500 sq. ft! But these homes are beautiful and high tech. After this documentary, you’ll definitely be throwing out a lot of your junk! Fed Up is really interesting (and disturbing) because it focuses on the effects the food industry has on the current generation of children. You won’t believe the power that food companies have and the unbelievable amount of deceit they are able to get away with. This documentary will break your heart and definitely change the way you eat. Banking on BitCoin was such a huge, pleasant surprise! I didn’t really have much interest in BitCoin (at least before the documentary…), but was trying to find something my husband and I would both enjoy, so we gave it a shot. Good thing we did because we both LOVED it! BitCoin is so much more than you really think, so this documentary delves into the world of banking, politics, and cyber-geekery. This is definitely one of the best documentaries for anyone interested in business, finance, or politics. I know there will be quite a few skeptics with this one, but The Secret is definitely one of my all-time favorite documentaries and by far the one I’ve watched the most. Nothing will motivate you to achieve your dreams more than this one. The documentary focuses mainly on the power of attraction, but in a way that will turn you into a full-fledged believer. After you’ve watched it once, you can just turn it on in the background when you need a good pick-me-up! We think we’re helping the poor by giving them donations and free stuff…but is that what actually happens? Poverty, Inc. is a really eye-opening documentary that shows you the long-term (and ultimately devastating) effects of what our helping hand does to third world countries. This documentary really shocked me and is one that I will never forget. Fat, Sick, and Nearly Dead focuses on a lot of the same themes that other healthy lifestyle documentaries do, but with one big distinction – it’s all about juicing vegetables. By following Joe Cross on his juicing journey, you can see the effects first-hand, as well as what it’s done for other people. 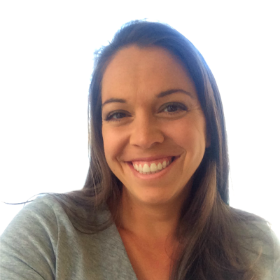 It is unbelievable to see the impact that this one lifestyle adjustment has. I promise, after this documentary, you WILL try out juicing! This documentary will totally blow your mind. I Am sets out to prove how our happiness and health is connected with the rest of the world – and it has a lot of science backing the theory. The idea is that we will never be truly happy until we can ease the suffering and pain of the rest of the world. The concepts in this documentary are ones that everyone should have to think about at one point or another. This is a must-watch that everyone should have in their queue! Food, Inc is the classic must-see documentary that delves into the world of food and healthy (or unhealthy) lifestyles. You will be shocked, disgusted, and blown away by where your food comes from and the power that big industries have. And that power is more than just deceptive labeling…it extends all the way to government regulations. This is a documentary that everyone should have to watch. The Queen of Versailles is one of my favorite “business-y” documentaries. It’s a rare riches-to-rags story that profiles a billionaire family during the recession. They are an eccentric family to say the least, so it is entertaining as well as informative (maybe a little more on the entertaining side ;-)). As an example of what’s in store – one of their goals in the documentary is to build the largest house in the country. 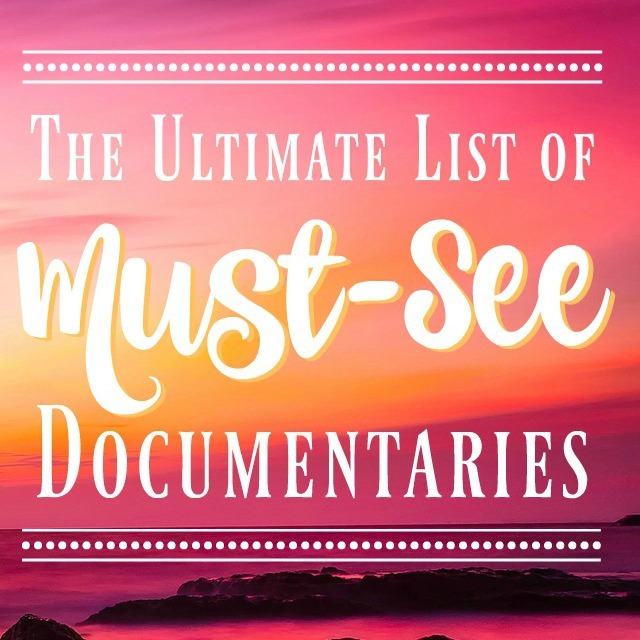 So there you have it – the best documentaries out there! Be sure to let me know if there are other great ones that I forgot. Great list!!! Would add “Inequality for All” by Robert Reich (may still be on US netflix – no longer on Canadian) explaining income inequality and it’s effects on society…complete eye opener for me and he’s able to take complex economic concepts and explain in plain English….a must see! that sounds awesome! I will definitely try to find it. If it’s not on Netflix, maybe I can find it on youtube. Thanks for the tip! I love new recommmendations! Hi Nikki, thanks for taking the time to share your list. I will definitely be watching the few that I have missed. I highly recommend ’13th’ on Netflix. It will definitely change the way you see the world! AND it was made by a woman , yay! Yay!! How exciting, I haven’t even heard of that! Adding that to the top of my list. Thanks for the recommendation! What the…???? Are you in my head or something? Or perhaps sneaking a peak at my Netflix account? I am SO twinsies with you on these. Starting right at number one (life changing! I totally cried) all the way down. I’ve also been really enjoying (can I say that?) Syrian conflict documentaries lately. Like White Helmets, and one whose name I can’t remember, but follows soldiers in the YRG who have travelled from around the world to fight extremist islam. I will have to check out some of these. Black Fish was great and haunting all at the same time. Life Animated is also a wonderful documentary about an adult with Autism who gained his language primarily through watching Disney films. I’ll have to check that one out! I’ve never seen it. It sounds really interesting though!